Regular readers of this blog already know that I love learning about alternative uses for everyday items. Not only is it fun and interesting, but it saves me money and makes me feel more prepared. For example, a while back I realized that instead of buying lots of household cleaners, air fresheners, and toothpaste, I could just buy a big bag of baking soda and use the money I save to buy more food and supplies. And when a disaster occurs and I can’t just run to the convenience store anytime I need something, I can just use the knowledge in my head to make use of what I already own. For this post I want to focus on foods, food ingredients, and food scraps. 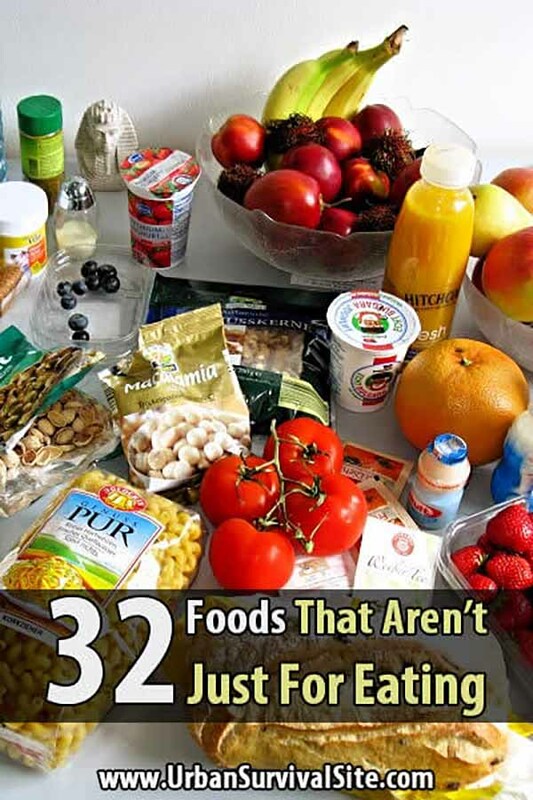 Baking soda isn’t the only food-related item that can be used in multiple ways. There are at least 30 more. Note: Each item below is also a link to an article with the complete list of alternative uses. For details on how to do the things I mention, follow the links. Now on to the list, in alphabetical order. This healthy fruit won’t just keep the doctor away. It can also help preserve baked goods, prevent stored sugar from crystallizing, moisturize your skin, and much more. Everyone should have a bottle of this in the pantry. It can relieve stomach aches, prevent acne, make your hair shine, and clean almost any surface. As I mentioned in the intro, baking soda can be used to clean and deodorize all sorts of things. It can even relieve itchy skin and bug bites. Bananas and their peels are good for skin care, whitening your teeth, treating cuts and scrapes, and fertilizing your garden. This is something worth having on hand. Not so you can drink it, but for all the other things it can do: remove blood stains, clean oil stains, relieve congestion, cure nausea, and even defrost a frozen windshield. Probably the most versatile item on this list. I make use of coconut oil every single day. It’s a little pricey, but well worth it. You might be surprised how many things you can do with coffee grounds. It’s good for dealing with pests, helping your garden, cleaning pans, removing odors, and more. This can help with all sorts of miscellaneous problems like gum in your hair, ice buildup in the freezer, a ring stuck on your finger, a squeaky bicycle chain, etc. A great food to stockpile, but it can also clean your carpet, remove stains, relieve sunburns, wash your hair, and more. Don’t throw them away! Put them in your garden or feed them to your chickens. They can even make your coffee less bitter. These are good for your garden, too. They can also freshen the air, soften your hands, and repel insects. It’s one of the healthiest foods you can eat, and it can also prevent infections, sore throats, acne, cold sores, and itchy skin. Like coconut oil, honey is sort of a cure-all. It’s especially good for sore throats, acid reflux, insomnia, and allergies. There aren’t a lot of things you can do with ketchup, but I like it so much I had to include it. It’s not that hard to make. The real question is, what can’t you do with lemons? This fruit is incredibly healthy and great for cleaning up around the house. Soften your hair, exfoliate your skin, clean sticky residue, relieve sunburns, fix cracks in furniture, and much more. 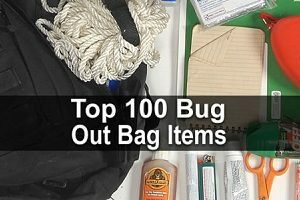 In college, I used it as a hangover cure and today I use it to treat insect bites and remove ink stains, but there are many other things you can do with it. As with ketchup, there are only a few things you can do with mustard, but they’re worth mentioning. Mustard can help prevent blisters, help soothe a sore throat, and relieve muscle pain when mixed into an Epsom salt bath. This is a great thing to stockpile because it’s nutritious and has a long shelf life. Better yet, it can also be used for cleaning cast iron and neutralizing odors. Not as great as coconut oil (in my opinion), but still good to have around, especially if you have skin problems. Use them to clean your grill, remove rust from knives, polish metal, treat insect bites, and soothe burns. 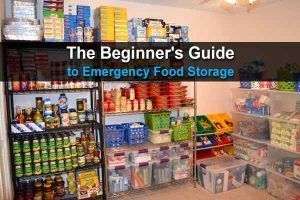 Another food every prepper should stockpile. It can also be used as shaving cream, mouse trap bait, an odor eliminator, a glue remover, and even a hair moisturizer. Black pepper can soothe ear aches and plug radiator holes. Cayenne pepper can soothe sore throats and keep pests away. Polishing your shoes and silverware might not be a major concern of yours, but if you ever need to, potatoes will get the job done. They’re also good for your skin. If your electronic device gets wet, drop it into a tub of rice to dry it out. There are several other miscellaneous uses for rice. This stuff is cheap, it lasts forever, and it can clean clothes, deodorize shoes, melt ice, remove rust, repel ants, and much more. Sugar also lasts forever. Like salt, it’s good for many things, but one of the best things it can do is kill bacteria on wounds, helping them heal faster. Used tea bags are great for treating minor bruises and sores, deodorizing your home, and helping grow certain kinds of plants. As far as I know, there’s only one alternative use for a can of tuna, but it’s awesome. You can use it to make an oil candle. And when you’re done, you can still eat the tuna. Although I recommend coconut or olive oil, if you have any old vegetable oil in your pantry you can use it to clean your car or season your pots and pans. Yet another item that basically lasts forever. You can use it to clean almost anything, and it’s a temporary cure for heartburn. Use this to clean your home, clean yourself, relieve pain, and barter with others. I keep a large box of baking soda on or near the stove – a good fire extinguisher – especially grease fires. 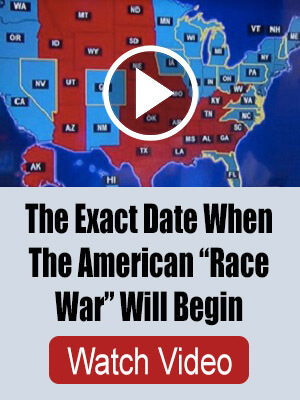 ROTFLMAO Lets all fill our hair with Mayonnaise and rub Peanut butter on our faces, Polish our shoes with Potatoes and Polish up the car with Vegetable Oil then go find some women!! !